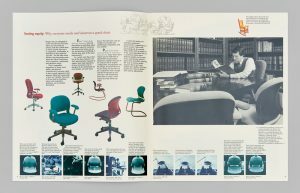 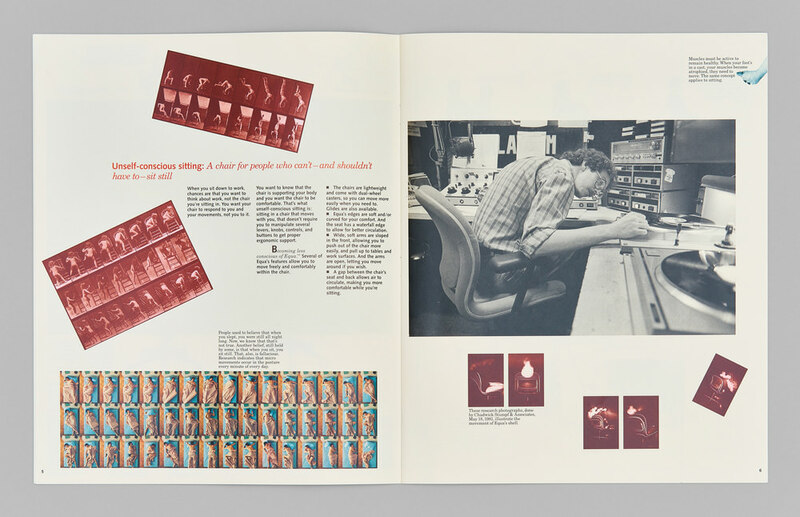 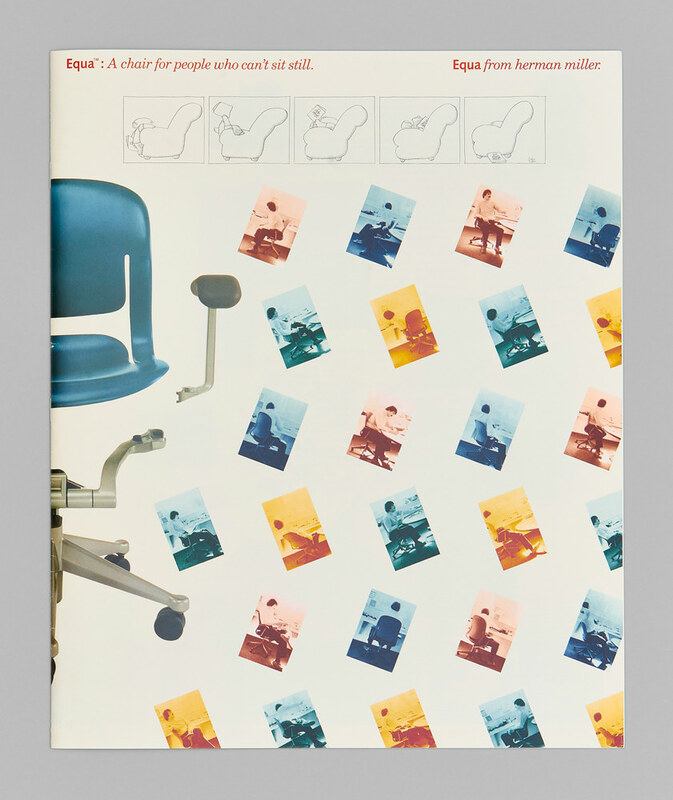 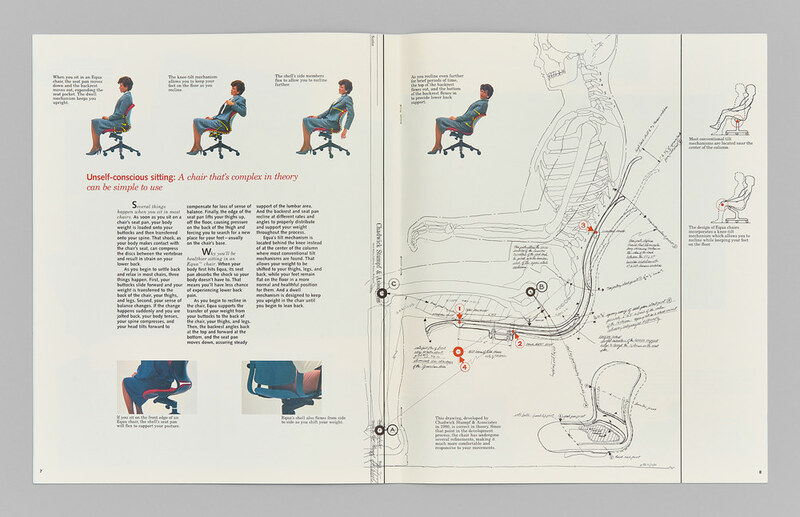 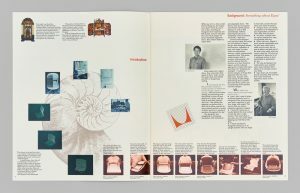 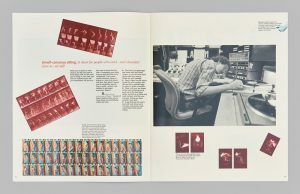 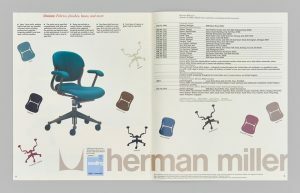 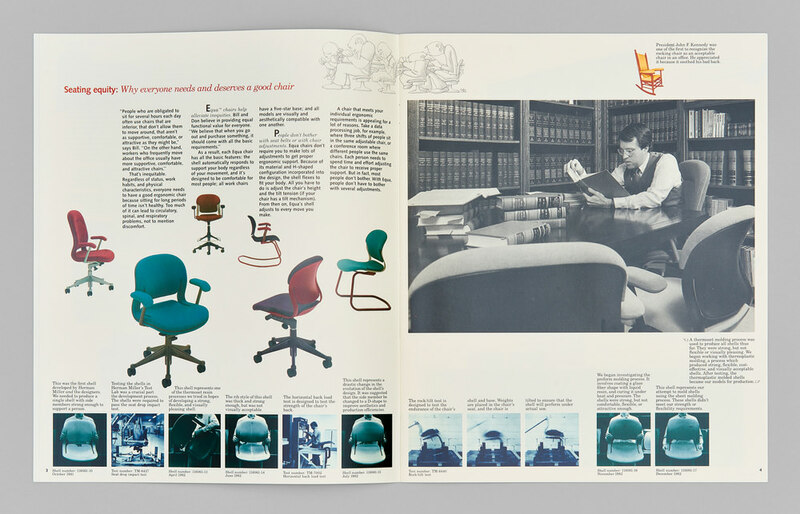 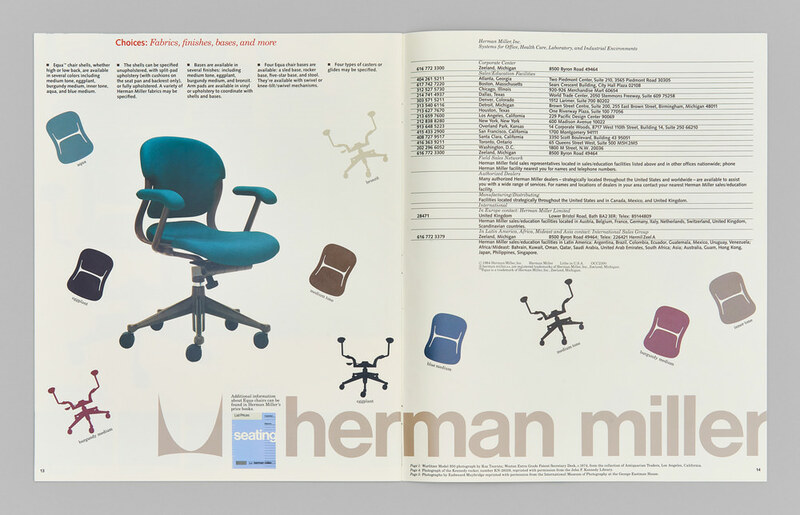 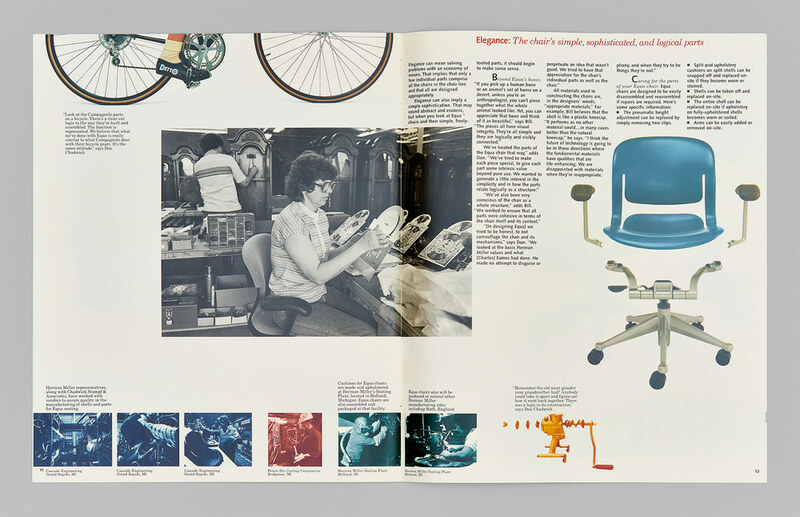 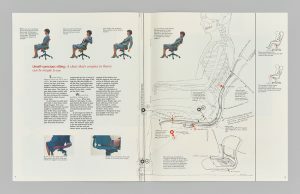 A concept brochure focusing on the product designers’ in-depth research on how people sit, the design concept, and materials developed for the chair that is complex in theory, but simple to use. 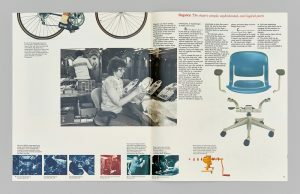 Size w 10.25" x h 12.5"
Techniques Offset printing, 4 color process plus spot gloss coating. Saddle stitched.